In 1963, the water behind the new Carillon Dam was raised over 60 feet, quieting the upstream tumult of the Long Sault Rapids. It also covered the canals and any remaining vestiges of old portage trails used to bypass the rapids. A lake over 20 km long was created, stretching all the way up the Ottawa River, beyond my home in Grenville. In the fall of 2007, QAHN launched its Cemetery Heritage Inventory and Restoration Initiative (CHIRI). 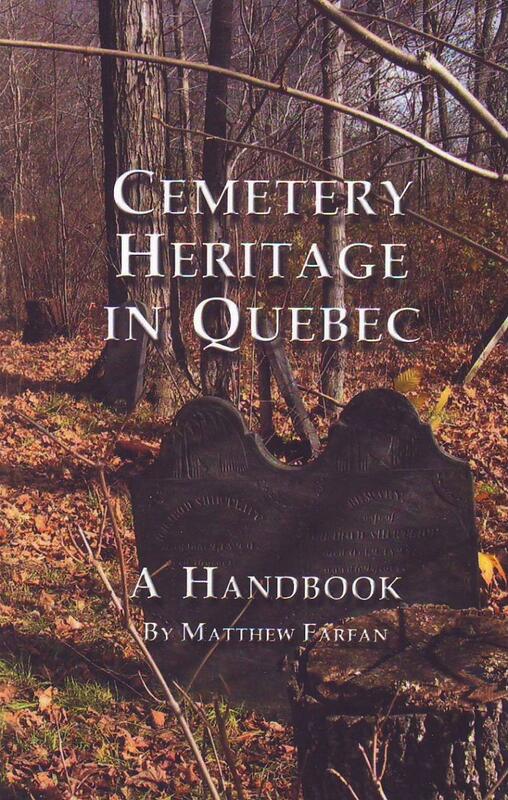 Our objective was to evaluate cemeteries of English speaking communities and / or religious congregations in several areas of Quebec, including the Laurentians. This month the McCord Museum of Montreal opens an exhibit entitled “Being Irish” to celebrate over 250 years of the Irish presence in Quebec. Usually what comes to mind when referring to our Irish history is Montreal and, to a lesser extent, Quebec City, where people of Irish origin have been, and have remained prominent in large numbers consistently for over two centuries. However, less known but equally important is the Irish rural heritage in Quebec. One area, first occupied by Irish settlers, was the vast tract of unsettled wilderness, to the north of the St. Lawrence.